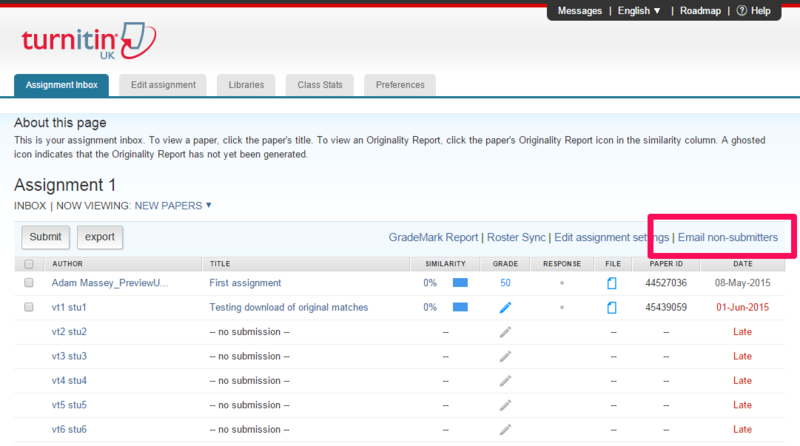 In a recent update, Turnitin introduced an ‘Email non-submitters’ link in the assignment inbox. Do not use this feature as your students won’t receive your message. When a student account is created on Turnitin via Blackboard, the integration doesn’t send the student’s email address to Turnitin. Instead, a pseudo address is used to represent the student. Turnitin’s support have told me they are ‘exploring how to send emails to students which have the pseudo email address’.